We have seen some amazing works of art and shear performance come out of our good friend Jason Heffner’s shop. Nestled in Sarasota, Florida, Heffner Performance has had many years of experience in tuning vehicles that are already considered to be supercars. Taking such vehicles to a new height of performance is no easy feat, but Jason and his crew strive for excellence and 8-second quarter mile times when it comes to tuning a new Lamborghini Huracan’s V10 to 4-digit horsepower numbers. 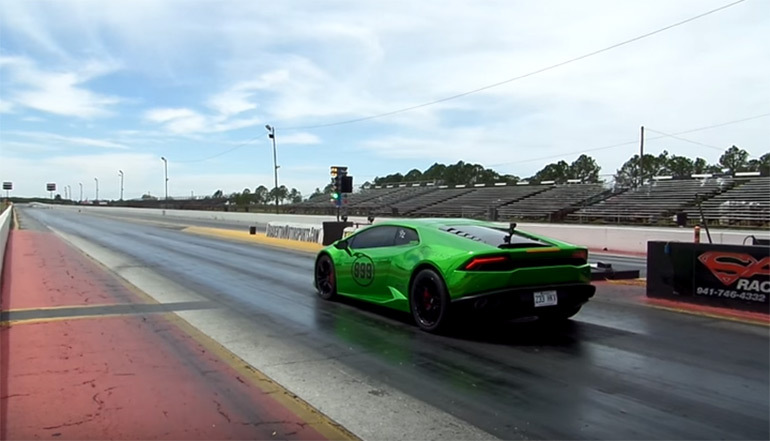 The all-wheel-drive Lamborghini Huracan tuned with a Heffner Performance Stage 2 Twin Turbo system you see here is running 18 psi and is able to run the quarter mile in about 8.3 seconds, currently making it the quickest Lamborghini around. Check it!